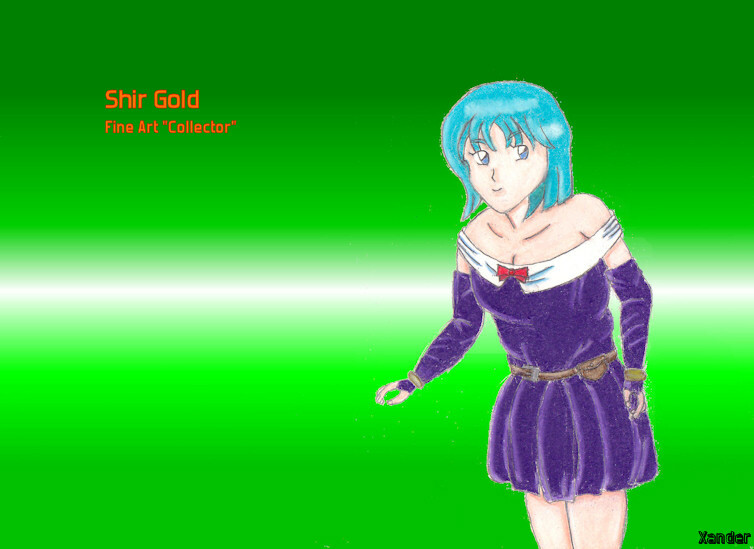 Shir Gold - Fine Art "Collector"
Some may have heard I had yet another piece of art in the works. I've been thinking of doing another Shir piece with my new pencils, mainly just to see if I have the right hair colour, which I do! I decided to go all in an and do an original piece, bar using the compendium for reference to the dress. The pose is entirely of my own design. For those not in the know, I drew her in the outfit she wears in her text adventure game, hence the subtitle up there. It took me between 4-5 hours to draw and colour. And fear not, the deluge of art will stop after monday when I go home and have less time on my hands. And that's it I think. Feedback welcome as always.